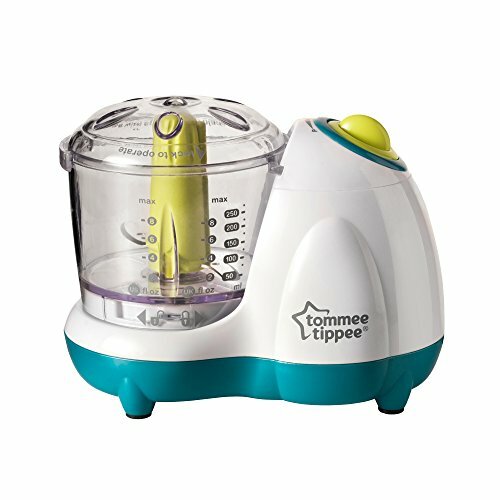 How to choose your baby food maker? 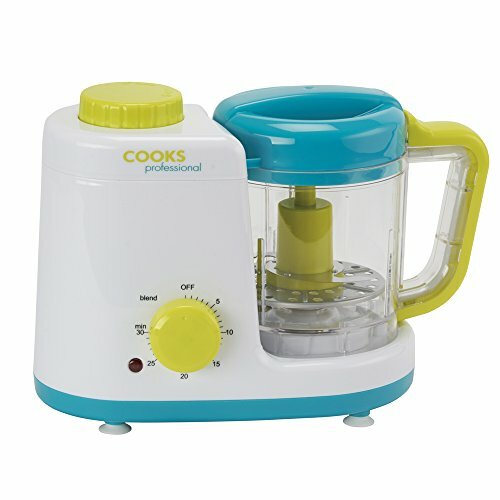 How to prepare a little pot with his baby food maker ? 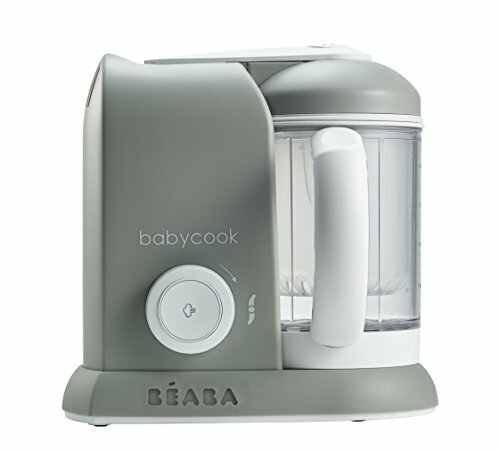 How to easily clean a baby food maker ? 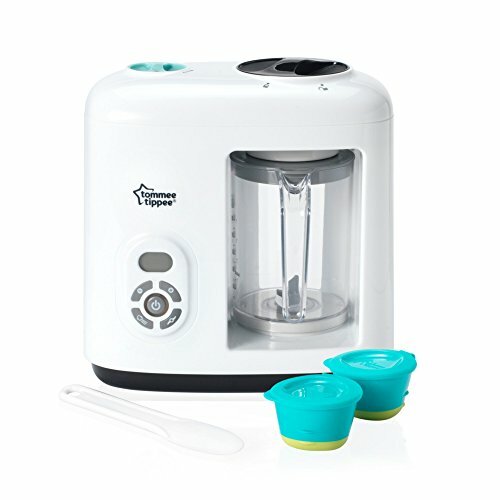 If you have always dreamed of dropping the jars and making your child’s meals yourself, then you’ve just found the perfect item: the baby food maker. Nowadays, multiple models are available on the market that meet all the expectations of users. 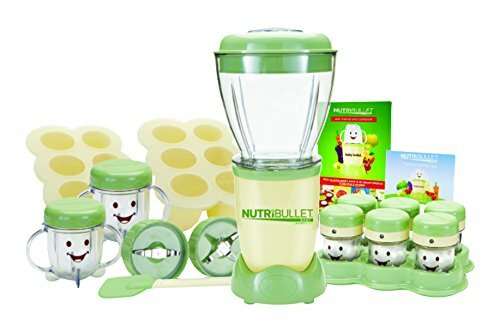 Before purchasing a baby food maker, we must take into account certain criteria, and this is what we encourage you to discover below. 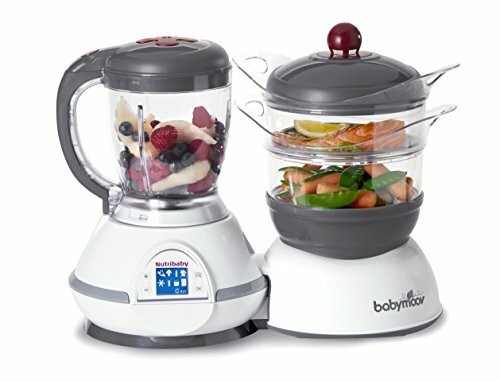 By purchasing a baby food maker, you will be able to cook good meals for your children, and allow them to eat healthy meal. You can also prepare a variety of recipes with ease. Indeed, just put the ingredients in the robot, press the ON button, and let the baby food maker work alone. In that way, you can also introduce new flavors to your baby! So, what is better? Not only will you save time, but your child will be fulfilled. The first product we introduce to you is considered the best on the market. The Beaba Babyocok Solo is a device that allows you to cook good meals in just a few minutes and is really compact. The materials of the product are of very good quality, and its features allow to realize two meals at the same time. This food maker is very easy to handle and ensures quick cooking of all dishes. Good quality and dishwasher safe, it is a very nice device. The only drawback we have been able to highlight is the price of the device which is a bit high. 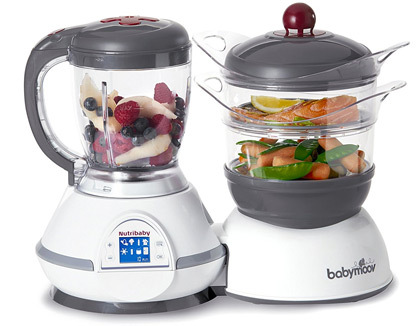 The babymoov Nutribaby Plus is a high-performance product that will quickly become essential in your kitchen. 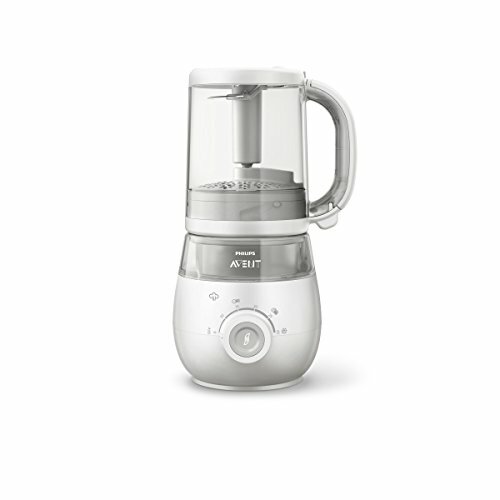 Offering no less than 10 steam cooking programs, this device will be useful to you on a daily basis. It can also reheat your meals. The cooking bowl here has a capacity of 1500 ml, ideal for preparing large quantities. The main advantage we can highlight here is the usability which is pretty nice for everyday use. Then, the wide range of programs allows to diversify the meals. Next thing is the large capacity that is ideal for large family. Finally, it is a 5-in-1 device that will meet all your expectations. The weak points of this product are: the price which is a bit high and the fact that there is no cookbook. Indeed, it will be necessary to buy it separately. 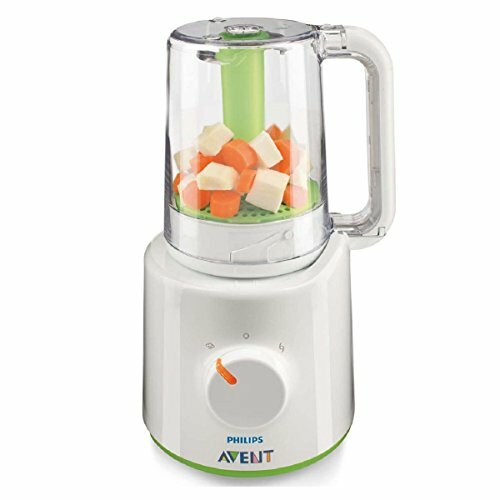 This device Philips Maxisaveurs 4-in-1 is a baby food maker very easy to handle, and above all, very powerful. It is sold with a spoon, and a basket that separates the ingredients from their juices. According to the opinions left by the users of this baby robot on the web, the mix is just perfect, but it is a bit noisy. When your dish is ready, the cooking robot starts ringing, allowing you to do something else while cooking! 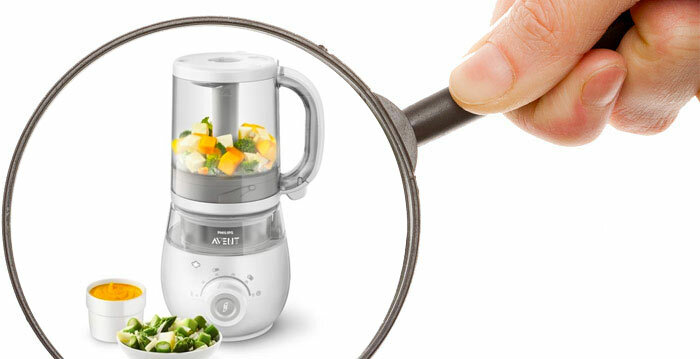 It is a very compact device that will easily find its place in your kitchen. In addition to that, the large cooking allow you to cook large quantities and it is a product that is easy to clean. 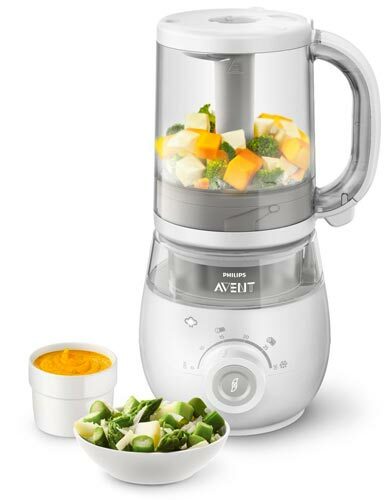 Finally, we love the powerful mixing function which allows to prepare good dishes. Unfortunately, this robot is a little noisy and is marketed a slightly expensive than the Beaba and Babymoov. This is a key point when you want to buy a baby food maker, since the goal of the robot is to allow you to save time. You have to make sure that the robot is easy to clean, with parts that can be disassembled and can be cleaned in the dishwasher. Depending on the model you choose, engine power may vary. In order not to be disappointed with your appliance, it is recommended to choose a baby steamer that has at least a power of 400 watts . This is essential for mixing all your ingredients as you should. The capacity of the bowl can vary from 600 ml to 1500 ml, depending on the models and brands. For a baby cooker robot, the ideal capacity is 800 ml. 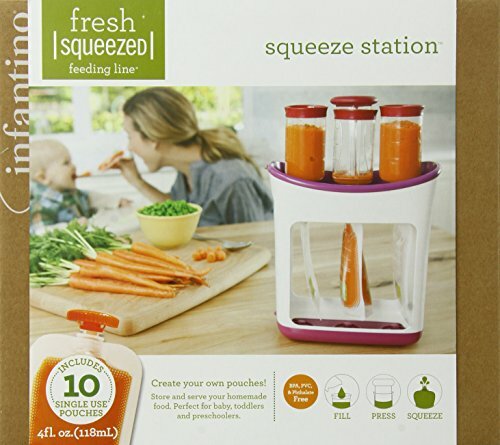 As mentioned before, the baby food maker aims to save you time in the kitchen. It is therefore essential that the preparation and cooking time does not exceed 20 minutes, otherwise there is no interest. Hence, a cooking robot that offers a cooking time of 15 minutes is ideal. 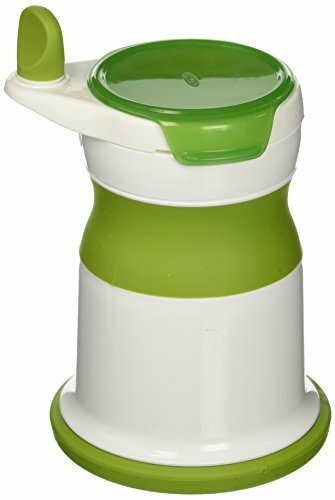 The baby food maker is recognized as a small device, easy to store and to carry. So, choosing a compact product is essential if you want to take it everywhere with you. Of course, if you do not intend to carry it, you can buy a larger one and more sophisticated device. Regarding the design, everything depends on your taste, but with the multiple models available on the market, you will necessarily find your happiness. Bisphenol A is a molecule that is usually found in plastics. Harmful to health, it is better to avoid products that are composed of this chemical molecule because it will be mixed with food. Thus, it is strongly recommended to check the absence of bisphenol A to take no risk. The use of baby food maker is very easy. Simply put cutted ingredients into small pieces in the cooking bowl, then adjust the water level. All you need to do now i to start cooking, wait, then empty the contents into the mixer. Once these steps are completed, you can salt or sweeten your dish, and you’re done! 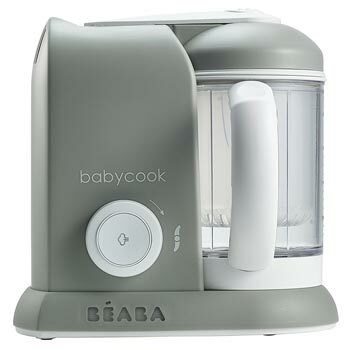 As said before, cleaning the baby food maker should be done relatively quickly. To prevent food from sticking to the appliance, clean it after each use and dry it well.